4 Blocks North of Wheaton Metro, off Georgia Ave. I have been practicing law since 1983, and have handled a wide variety of legal matters. I currently concentrate my practice entirely on Probate and Estate Administration as well as Elder Law and Will and Trust preparation. I was selected as the Washington DC attorney for several major legal service plans, including those of Chase Manhattan, American Express and Montgomery Ward, helping thousands of satisfied clients with their legal problems. I have been a participating attorney with AARP, and do volunteer work for the Legal Counsel for the Elderly. To go to my main web site Click here. I am licensed to practice law in the District of Columbia and in Maryland, but have handled matters in other jurisdictions such as Virginia, on a pro-hac vice basis when needed. I have developed a friendly, caring style, and treat my clients with the full respect they deserve. I recognize that lawyers are in a service business, where the client is entitled to accessibility, responsiveness, communication, and timeliness, from a lawyer that values his clients. 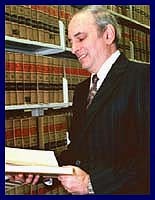 I received my Law degree from the Washington College of Law at American University in 1980, and also received a BS in Electrical Engineering (1965), and an MS in Industrial Engineering (1968) from Polytechnic University in New York, and have completed several years of advanced study in Operations Research, Management Science, Mathematics, and Computer Science. I have been a participating attorney with AARP, and do volunteer work for the Legal Counsel for the Elderly. I was selected as the Washington DC attorney for several major legal service plans, including those of Chase Manhattan, American Express and Montgomery Ward. 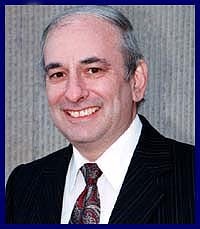 I was the lead and responsible attorney for the landmark 50 page decision by The District of Columbia Court of Appeals in the case of In Re Mollie Orshansky, 804 A.2d 1077 (2002), resulting in a most favorable decision for Mollie Orshansky, who the Court, appointed counsel, the improperly appointed conservator and guardian, and the District of Columbia Adult Protective Services were all fighting to force into a nursing home in DC, away from her family in New York, against her expressed wishes, showing the value of a properly executed power of attorney, and following the strict requirements of the Law. I was also the lead and responsible attorney for the decision by The District of Columbia Court of Appeals in the case of In Re Ann Cooper Penning, 2007.DC.181 (2007), resulting in a complete reversal of the lower Court decision to appoint a conservator over the assets of Ann Cooper Penning, an American citizen who retired from the practice of law in the District of Columbia and moved to Malaga, Spain in the late 1980s, where she married her longtime friend. Her brother filed intervention petitions both in Spain and in the Superior Court of the District of Columbia, seeking the appointment of a guardian for his sister and a conservator for her property she continued to own in the District, even though she made Spain her new domicile. The lower Court in DC decided against her expressed wishes, against the Court in Spain, and disregarded her properly executed power of attorney, and failed to follow the strict requirements of the Law, as was decided in the Orshansky case. I was also the lead and responsible attorney for a number of other Probate cases that involved will contests, land contests, adverse possession, partition of real estate, and other probate and estate issues. I continue to be involved in a number of ongoing contested cases that involve matters being decided in the Superior Court for the District of Columbia as well as in the Circuit Court for Prince George's County. I have worked with a number of industries and trade associations, in resolving technical problems, including Electronics, Computer Systems and Programming, Numerical and Industrial Control Systems, Facility Engineering, Lighting and Power Design, Glass Container Design, Testing, and Manufacturing, Ship Design and Building, as well as the Air and Space Craft Industries. My fee and payment policies are flexible for the client, and my initial consultation on any matter is always free. "A Brief Guide to Legal Emergency Planning,"
"A Brief Guide to Estate Planning,"
"A Brief Guide to Probate in the District of Columbia,"
"A Brief Guide to Probate in the State of Maryland,"
in the District of Columbia,"
"The Automobile Accident Quick Reference Guide ,"
"Guide to common legal terminology (defines will, trust, etc.,)." "Guide to Living Wills and Health Powers of Attorney." Living Wills or Health Directives. Probate and estate administration, estate planning, and elder law attorney George Teitelbaum provides representation to clients throughout Washington, D.C., in all areas such as Northwest, Northeast, Southwest, Southeast, George Washington University, Downtown, Dupont Circle, Foggy Bottom, Georgetown, Sheridan, Logan Circle, Mount Vernon Square, Shaw, West End, Barney Circle, Capitol Hill, Chinatown, Judiciary Square, Kingman Park, Navy Yard, Near Northeast, Penn Quarter, NoMa, Southwest Federal Center, Southwest Waterfront, Union Station, and the National Mall. Also, Suburban Maryland, including: Montgomery County, Prince George's County, Wheaton, Silver Spring, Rockville, Bethesda, Aspen Hill, Kensington, Gaithersburg, Olney, Leisure World, and Potomac. Attorney George Teitelbaum also assists clients located out of state that may have legal issues in the District of Columbia or in Maryland.